I’m very happy to announce that today From Pemberley to Milton is doing the cover reveal and posting the first glimpse of Jennifer Joy’s new book Accusing Elizabeth! The book will be released for sale tomorrow, and I’m very proud to have been the one Jennifer choose to let the world know about her latest project. What must a lady do to receive a decent proposal? After refusing an atrocious proposal from a gentleman she dislikes, Elizabeth Bennet wishes she had never come to Hunsford. Foolish decisions and silent tongues conspire against Elizabeth, bringing accusations against her and those whom she holds dear, when a valuable pair of diamond earrings go missing from Rosings. Elizabeth finds a surprising ally in Mr. Darcy— the man she had so recently refused. Can Elizabeth see past her prejudice to understand her own heart? Or will she ruin her prospects to protect her friends? Fitzwilliam Darcy’s dream of a happy union is dashed to pieces when Elizabeth Bennet irrevocably refuses his offer. Sincere in his affections, he determines to win her heart. If only he can defend her when his aunt, Lady Catherine de Bourgh, suspects Elizabeth and Miss Maria Lucas of theft. Can Darcy overcome the obstacles his relatives place before him on the path to love? Will Elizabeth give him a second chance? As Charlotte left the house accompanied by the housemaid, Elizabeth marched to the back of the house and down the sloping lawn to the pig’s pen. Elizabeth had not experienced the flight of said animal, but she knew that Charlotte lived in terror of it escaping again. Every commotion Mr. Collins caused was followed by the question, “Did the pig escape again?” from Charlotte. Walking quickly, before her sense of reason could catch up with her and stop her, Elizabeth raised the latch which secured the door to the pen. She flung open the gate and clapped a few times to set the animal in motion. It needed no further encouragement. Squealing with the joy of its newfound freedom, the pig ran as fast as its four pink legs could carry it, its ears bouncing and its tail swishing through the air as it cut through the lawn with Elizabeth chasing after it, trying with all her might to keep up so that she might encourage it to go toward the front of the house where Charlotte could hear it. “Charlotte! The pig is loose!” she yelled. Charlotte, who had not walked far down the road, shoved the basket into Betsy’s hands, picked up her skirts, and ran toward the house. The look of determination on her face was a fierce thing to behold. “You block it from that side, Lizzy. I will make sure it does not come through the gate. Maria!” she yelled. The girl, not understanding what all the fuss was about, but observing it tranquilly through the front window, came outside. Maria ran to the opposite side of the house to stand guard, but Elizabeth knew that the pig must already be there. Its squeals of protest at Maria’s attempts to shoo it out of the garden confirmed its location. Charlotte threw her hands up by her face. “Oh, no! It will uproot and eat everything. Lizzy, I need your help,” she called from over her shoulder as she ran toward the garden. Elizabeth did not remember the last time she had run so much. Not since she was a child. Maria was in some sort of deadlock with the offending animal. It stood with a carrot hanging out of its mouth, chomping at the greens contentedly and daring anyone to draw near. “Maria, you get at him from the far side. I’ll go from this side. Lizzy, make sure he cannot escape through the front,” Charlotte instructed as she closed in. Betsy, having freed herself of the basket, joined them. With a wicked glint in its eye, the pig finished chomping on its carrot, then charged at Elizabeth. Widening her stance so she could grab the animal as it passed, it ran straight between her legs, catching her dress and pulling her down backwards. Charlotte and Betsy were quick to run to her, but the pig masterfully untangled himself from her dress, stepped over her, and continued squealing toward the open fence. “I suppose I deserved that,” said Elizabeth to herself as she tried to get back on her feet. Thankfully, the pig was small and it had not hurt much when he stepped all over her in his haste. Dashing across the lawn to the front of the house, they watched as the pig headed toward the open gate. “Do not let it get out!” cried Charlotte. Elizabeth ran with the women after the pig, wiping her loose hair out of her face. “It must not cross into Rosings. Mr. Collins would be mortified,” insisted Charlotte. Chasing the tireless, pink beast down the Hunsford Road, Elizabeth’s lungs burned for breath. After all this effort, Maria had best confess to Charlotte! Down the road, two gentlemen on horseback appeared. Elizabeth gritted her teeth at the sight of Colonel Fitzwilliam and Mr. Darcy. It embarrassed her for them to see her in such a state. A great deal of her hair was loose, and her dress was covered in dirt and muddy hoof prints. But it had all been of her own doing, and she must see Charlotte’s pig safely back to its pen. Charging through her shame as she continued in the chase, she kept her focus on the pig, waiting for her opportunity to pounce. One quick look over her shoulder confirmed that she was on her own. Maria and Betsy lagged behind her. Charlotte had slowed to a walk, having grown tired. As the runaway animal neared the horsemen, Mr. Darcy handed his reins to Colonel Fitzwilliam and dismounted. Elizabeth had expected him to observe piously from the comfort of his seat. When he rushed the pig, turning it back to trot toward her, she could not have been more surprised. Unfortunately, the pig must have figured that its odds were better against one man than against four resolute women, who now stood closer together. It promptly turned back to Mr. Darcy, picking up his pace. Mr. Darcy took her seriously. He leaned down to grab the pig as it neared, but the pig had anticipated his move. Veering to the side just outside of Mr. Darcy’s reach, he squealed in delight at what he thought was another victory in his escape. What the pig did not count on, nor anybody else, for that matter, was for Mr. Darcy to pivot in place and pounce on top of it. He circled his arms around the squirming animal. Colonel Fitzwilliam had his hands full with the nervous horses that did not much like a small pig darting about near their feet. He laughed so loudly, it echoed down the lane. Seeing that the colonel would not be of much help with two skittish horses in his care, Elizabeth knelt down next to Mr. Darcy so that she could hold the pig’s feet and allow the gentleman to stand. “Thank you,” he said, a scowl on his face. Elizabeth shook her head at her overly polite friend. “Very well,” said Charlotte as she led the way back to the pig’s pen. They walked in silence back to the parsonage. Elizabeth did not remember running that great a distance, but the pig had covered a good deal of ground. When the house was in view, Elizabeth chanced a glance at Mr. Darcy. She expected to see a trickle of sweat running down his brow, but there was nothing. Only a deep furrow. As a giggle bubbled up through her throat, she wished she had not looked at him. It was ridiculous that such a fine gentleman who took himself much too seriously should be carrying a pig like it was a small child. The pig’s ears flopped with each step, and it looked like it was having a jolly time in Mr. Darcy’s arms. It even looked like it was smiling. That was all Elizabeth could bear. No longer able to stifle her laughter, she looked at Colonel Fitzwilliam, whom she knew she could rely on for understanding, and laughed with such delight that her stomach soon hurt. She avoided looking at Mr. Darcy again, lest the sight renew her laughter and upset the gentleman more than she already had. But the pig joined in with its grunts and snorts, and Elizabeth peeked up through her lashes to see Mr. Darcy in the height of a large grin. The sight almost stifled her laughter. It certainly was not what she had expected to see. Mr. Darcy’s eyes lit up and his lips curled up in the corners so bewitchingly that she had difficulty looking away from. Disarmed by his smile, she focused on the happy pig bobbing up and down in his arms. 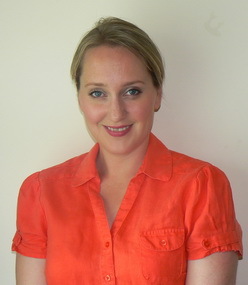 When Jennifer isn’t busy dreaming up new adventures for her favourite Austen characters, she is teaching English, reading, perfecting her doughnut recipe, or taking her kids to the park. Her wish is to continue to write sweet romances with happy endings for years to come. She currently lives in Ecuador with her husband and twins. All of them are fluent in Spanglish. Right now, Jennifer is imagining a new way to bring our beloved Darcy and Lizzy together so that they can enjoy another Happily-Ever-After. 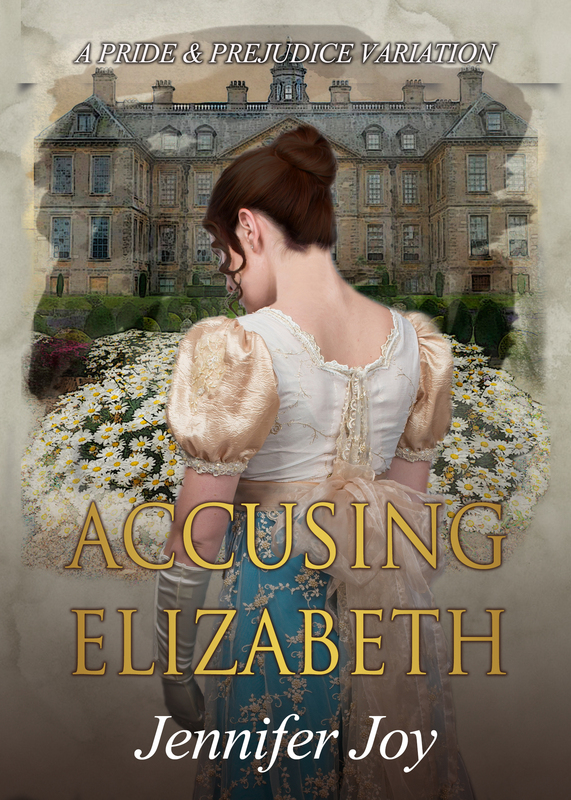 Jennifer Joy was kind enough to bring to From Pemberley to Milton four e-book copies of Accusing Elizabeth to offer to our readers across the globe. The giveaway is international and to participate all you have to do is place your own questions to Jennifer or just share your kind words and love with her. Leave a question or comment on this post, and if you want to double your chances of winning, you can also comment on the review for Accusing Elizabeth that From Pemberley to Milton will post on the 25th of January. The giveaway is open until the 31st of January and the lucky winners will be randomly picked and announced on the 1st of February. I discovered Jennifer Joy’s work a couple of months ago with Earning Darcy’s Trust and I couldn’t stop reading it from the moment I started. I remember staying up until 3h in the morning on a working night just to finish it, which meant looking like a zombie at the office the following day, but it was worth it. 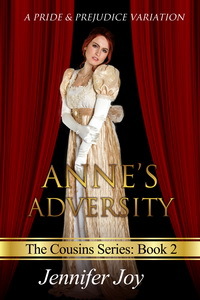 After that book, I discovered that Jennifer Joy was working on a trilogy called the Cousin Series. It started with Darcy’s Ultimatum, which I have also devoured, continued with Anne’s Adversity, and last week she published the latest of the series: Col. Fitzwilliam’s Challenge. When and how did you discover JAFF? I’ve enjoyed Jane Austen’s novels since I was old enough to appreciate her sarcasm and wit. My first experience with JAFF was in 2007 when my mom recommended a book to me. It was Amanda Grange’s novel, Mr. Darcy’s Diary and it opened up a whole world of story variations to me. Thank you, Mom! I remember the day my grandma bought me my first real journal. She wrote in the front of it that it was for me to write all of my stories in. I think I was about 9 years old at the time and I have since lost count of how many journals I have written through. As the content became less factual and more entertaining, it soon became evident that I needed to do more than just journal. With the encouragement of my mom and husband, I outlined my first series! Why write JAFF and not another type of literature? It’s what I enjoy reading. Jane Austen wrote characters with depth and flaws— people we can relate to. It’s a true testament to the genius of her work that they have stood the test of time so well and with so many readers wanting more. I find your writing exquisite, so I would personally like to know how is your writing process. When and where do you write? Do you still use pen and paper or do you write on the computer? Each novel has been different because I wanted to try every writing method out there before settling on what works best for me and my family. Here’s what works: I wake up early and get half a chapter done before I wake the kids up for school. Then, I write what needs to happen next while it’s still fresh in my mind. Then, after taking care of our normal morning activities, I steal away for long enough to finish my chapter. All my notes and outlines are done on paper. After years of writing freeform, it’s what is the most comfortable for me. But I’m much quicker on the keyboard, so the fun stuff happens on my desktop with a timer (to keep the fingers flying) and my favorite writing music. (Right now, it’s the SimCity soundtrack). What are your biggest challenges as a writer? My biggest challenge is stopping. It’s a thrill spending time with my favorite characters and spinning some mischief for them, but I have a family. I want to experience things with them, help the kids with their homework, build and fly paper airplanes with my son, mix paint and color with my daughter, go on dates with my husband, keep the house presentable… you know, live life! What gives you more joy in this activity? I’m in love with the whole process. Writing, in itself, is enough for me. However, hearing from people who are entertained by my stories through reviews, social media, and email sends my spirits soaring. How did you conceive the idea for the cousin’s series? It started with the title. It hit me in the middle of the night (yep, it woke me up) and I scribbled it down so I’d remember it the next morning. Then, I obsessed for days about an event which would change the lives of all three characters (Darcy, Anne, and Colonel Fitzwilliam). My husband and I were waiting for our kids to finish their swimming lessons and I was musing out loud (obsessing, really, but musing sounds much more creative and artsy) about this pivotal event when the letter came to me. I started writing my outline on a grocery receipt in the car then and there. 5 months later, we released Darcy’s Ultimatum. You mentioned a letter that appears in Darcy’s Ultimatum and is also important in Anne’s Adversity, but is it also relevant to Col. Fitzwilliam’s Challenge? What can you tell us about Col. Fitzwilliam’s Challenge? It’s my favorite. The colonel finds love where he least expects it and he learns the hard way that his instincts are not as trustworthy as he believes them to be. Leaving behind his sturdy, reliable routine, he must deal with spies, smugglers, and traitors only to find that his path to love and his lifelong ambition are on a collision course and he must choose between the two. What message would you like to give to your readers? Keep your love for the written word alive! Read for the pure joy and entertainment of it… well, that, and for the improvement of our minds through extensive reading. Mr. Darcy knows what he’s talking about! Jennifer Joy was kind enough to bring to From Pemberley to Milton one paperback and one e-book of Col. Fitzwilliam’s Challenge to offer to her readers across the globe. The giveaway is international and to participate all you have to do is place your own questions to Jennifer or just share your kind words and love with her. Leave a question or comment on this post, and if you want to double your chances of winning, you can also comment on the review for Col. Fitzwilliam’s Challenge that From Pemberley to Milton will post on the 14th of December. The giveaway is open until the 16th of December and the lucky winners will be randomly picked and announced on the 17th. Jennifer Joy’s writing is so good that it gets me glued to her books for hours! While I’m captivated by the premise in some books, in Jennifer’s I have to say that it is the way she develops her stories and her characters that keeps me wanting to read more and more. I’m not saying that the premises are not good in her books, by the contrary, they are quite interesting, but her writing is definitely her strongest characteristic for me. The way she writes increases the quality of her books exponentially. 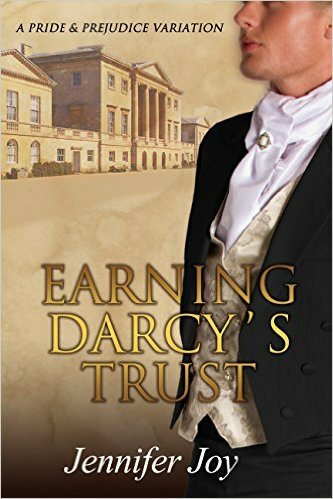 Earning Darcy’s Trust is the second book I read from this author, and for the second time, I go to bed after reading it wanting to write about it. That is something that does not happen with every book I read, and it has to be the merit of the author. In this book Darcy decides to take Georgiana to Netherfield with him, and her presence will change everything! The storyline will be quite similar to the one Austen created, but Georgiana’s presence along with another new character and all the story that is behind him, will change the Darcy/Elizabeth relationship. I liked the new Darcy/Elizabeth scenes the author created and their dialogues. Their discussions were very good, and the way they profess their love in the end of book really touched my heart. I think it is because I really identify myself with the way Jennifer Joy expressed Darcy and Elizabeth’s feelings and inner thoughts. I particularly liked reading Elizabeth say “I am as much yours as you are mine” and Darcy confessing “she is my complement. Where I am week, she is strong”. For me these sentences are very strong and transpire a love that is transcendent. They correspond to what I believe Darcy and Elizabeth’s love is all about. I also loved the way Jennifer gave some importance to Mr. Hurst and how she changed his character. Or should I say, how she showed us how he can be when not sleeping or inebriated? I really liked seeing him take some action and actually speak. This is something I never saw in a JAFF book before, so it really stood out and got my attention. The way Georgiana’s attitude evolved during the book was very interesting as well. I liked to see how Elizabeth’s influence helped her grow. We always see Mr. Darcy saying that Elizabeth’s presence will help Georgiana, but in this book we actually see it happen. The only thing I didn’t like as much in this book is the reaction Mr. Darcy has when the true killer of his father is revealed. I would imagine him angrier, not being able to think of anything else. I would also prefer to have Darcy talk with Elizabeth about his feelings in a more private situation, but I understand the scene itself was meant to create some humour. “She loved a good challenge. Perhaps that was what drew her to Fitzwilliam Darcy at first. There was nothing simple about him”. “They would fight. They would love. But most of all, they would live”.